The generosity and hospitality of Dzherelo was immediate. They had booked a lovely room for me at the dorms of the Ukrainian Catholic University, had pre-booked me a breakfast for my first night, and Svitlana came to meet me again and show me my way to work. It was amazing not to stress about anything (other than about my dance program). Another wonderful lady arrived the same day to also start two weeks at Dzherelo. The center was wonderful in giving us the grand tour and introducing us to everyone for our first day. We had the first meetings to find out more about the center, the programs they offer and what types of children and youth they are working with there. The center is incredible. I was overwhelmed at the size, facilities, and programs they offered. After some of the horrible situations I saw last year, it was amazing to see a facility fully striving to better the lives of people with a disability in Ukraine. In two weeks we covered a lot of ground. 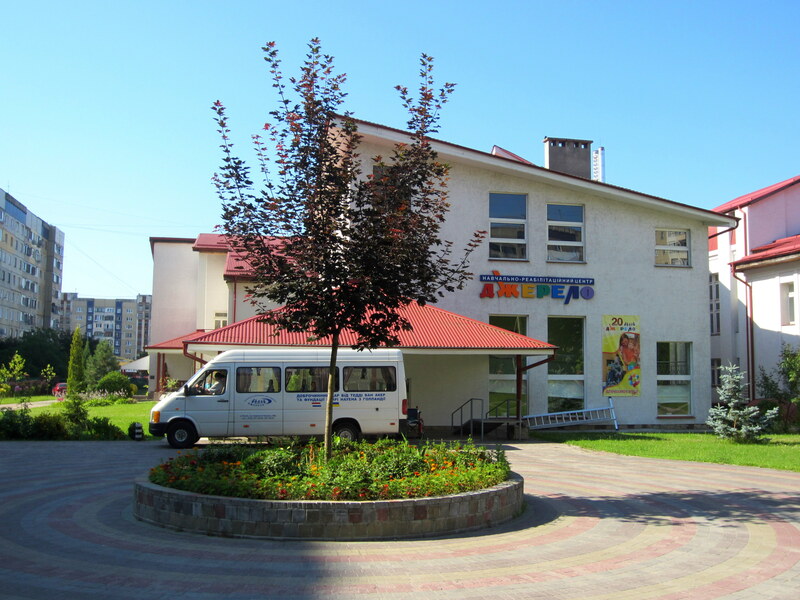 I was able to work with several groups and answer many questions in my quest to help Promethean Spark International develop programs in Ukraine. 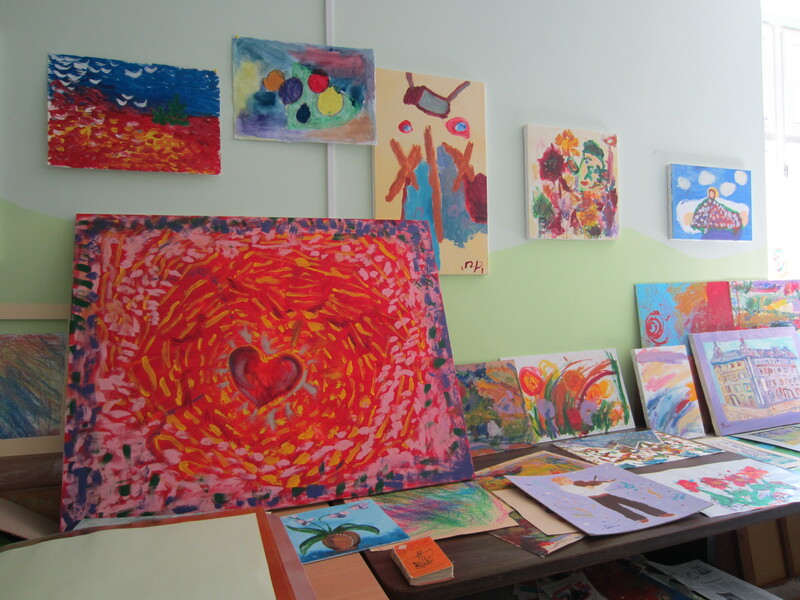 I was also able to shadow many of the other activities at the center from art to cooking to physical therapies. I cannot share all of the specific stories, but the bonds made were incredible. It is truly touching to know you have affected someone’s life for the better, even more so when it is in such a short time. How I ever became worthy of such a thing, I do not know but these memories will stay with me forever. As far as the program goes, the 2 weeks were extremely productive and positive. The even better news is that the door is still open to move forward with the idea of teaching life skills through dance in Ukraine. I don’t want to jinx anything, and I know to take it step by step, but I am definitely excited for the journey ahead. I had the opportunity to work with both the school and the young adults program on a consistent basis. At the end we put together a small showing so everyone could gather and share in the 2 weeks. While simple, I think it ended well and everyone was smiling ear to ear – what more could I have asked for! The good byes were epic and moving, but at the same time, this is another place where I already know I will return. It’s just a matter of when! If you want to get more information about Dzherelo, please feel free to check out their website here. Since photos of the children all have to be approved by Dzherelo, the ones I have must remain private. However, you can see the facebook page here which includes photos of the amazing individuals I had the chance to meet these last weeks. Who knows, maybe a few dance shots might make their way to the page 🙂 If you fancy supporting Promethean Spark’s efforts to continue creating amazing programs that help change lives please follow this link. Wonderful reading, once again. Love you!